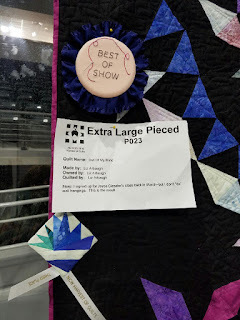 I've never written a book review before, but when I saw this book during a quilting event last weekend, I fell in love. 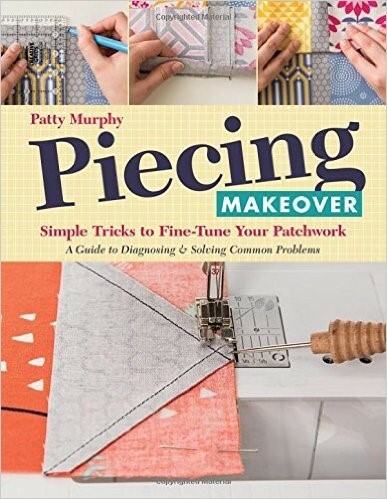 I've been teaching quilting for more than 15 years and this is one of the best books I've ever seen that gives a detailed, pictorial solution to sewing's little problems. I've long said that quilting is 10 percent talent and 90 percent troubleshooting. Patty Murphy takes all the trouble out of trouble-shooting with clear, close-up photographs and well-written, detailed instructions for making a variety of common quilt units – strip piecing, four-patch, nine-patch, half-square triangle, quarter-square triangle, and flying geese. 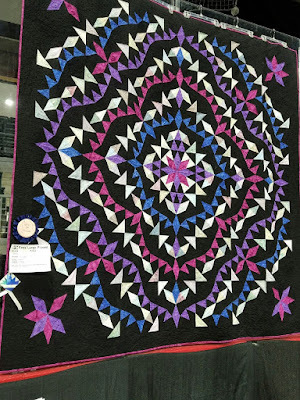 Patty then expands those lessons into classic block instructions – Dutchman's Puzzle, Square-in-a-Square, Log Cabin, Pinwheel, Sawtooth Star, Ohio Star, Ocean Waves, and LeMoyne Star. Patty concludes with modern favorites such as Drunkard's Path, Bear's Paw, Hexagon, Half-Rectangle Triangle, Diamonds, Equilateral Triangles, and Kansas Dugout blocks. The "Problem, Diagnosis, Solution" format is brilliant. 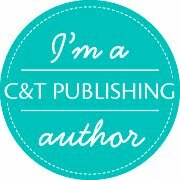 I probably need to add that I promoted this book so heavily at the event that the publisher gave me my own copy. I also need to add I would have bought it anyway! In March, I taught Grandma's Surprise to a group of students in Wenatchee, Washington. Students get the option of making the quilt in two different sizes using my first three quilts as design inspiration. They also receive a coloring page and math help to design their own if they'd like to make additional changes. This week, I received another update -- her quilt won Best of Show at the North Central Washington Harvest of Quilts show in Wenatchee! Liz Arbaugh, your quilt is fabulous. I can't wait to see this in person the next time I'm in the area.